NEW TIRES @ USED PRICES! Why Buy Used & Lose? When You Can Buy New & Cruise! Whether you live on the Outer Banks or are visiting, call us for your next set of new tires. 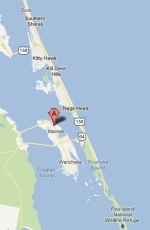 You'll find that we have the lowest prices on the Outer Banks for tires. Need service or repair for your car, truck or SUV? Call us! We're open seven days a week and all holidays and we stay open late for your convenience. Can't get to us? We'll come to you! We provide 24 Hour Towing seven days a week and all holidays! We're centrally located on the Outer Banks on Roanoke Island, just north of downtown Manteo and just south of the North Carolina Aquarium. Get them at our cost with FREE installation! Lowest Price on the Outer Banks for all other tires! © 2012-2013 All Car and Truck Repair. All rights reserved.